It’s become a major misconception that vegans have a small group of food choices and eat bland, tasteless and boring food. Yes, vegans options are different than the ones most people are familiar with but their options are by no means, limited. Vegans are not able to eat a lot of staples like cheese, meat, dairy and eggs but they create their own healthy staples and build from there. 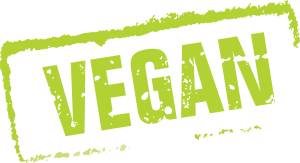 There is a huge variety of exciting, tasty, healthy and nutritious foods available for vegans. We’ve broken it down into categories to give you a clear and straightforward guide on what vegans eat. You’ll gain ideas and a whole new appreciation for a diet that’s healthy, versatile and delicious! Total Body Fitness Makeover, 20 Amazing Raw Vegan Kale Chip Recipes and The 20 Most Delicious Vegan Cookie Recipes Ever! Fresh smoothies are a great way to get a lot of servings of vegetables and fruits for vegans! Since vegans don’t eat animal protein, adding vegan protein powder to a smoothie is a great option. A blender or a juicer is a great investment for a vegan to make because of the unlimited amount of options you can make. Since vegans don’t drink cow’s milk, they turn to nut and soy if they want to drink milk. There is a variety of non-dairy milks available including soy, almond, walnut and more! Non-dairy milks are extremely healthy, full of flavor and are extremely versatile. You can either buy these in the store or make nut milks in a blender. At the start of my vegan lifestyle decision, I wanted a cheap juicer/blender and I found this to be perfect, it is #1 in Jug blenders. A major staple in a vegan diet is beans and lentils. Since meat is not an option, black beans and lentils are a versatile and filling option to a variety of meals. Black beans, garbanzo beans, pinto beans, and green lentils are popular, full of fiber and easy to make vegan options. Beans and lentils are great as a side dish or an addition to a salad. Some people find it difficult to live without the texture and taste of meat, and that’s where vegan meat substitutes come into play. There are a wide variety of meat substitutes on the market from chicken, turkey, hamburgers and more! Meat substitutes are made with a variety of ingredients including soy, gluten, black beans, etc. Experiment with different kinds of faux meats and you are sure to find something you love that reminds you of your favorite meat! Whole grains are another staple for vegan diets. Vegans enjoy healthy whole grains like rice, barley, millet, oats, rye, wheat and more. Whole grains are full of vitamins and minerals and a great addition to any diet. Vegans tend to eat much more of a variety of fruits and vegetables than meat eaters. In addition to fruit and vegetable staples like apples, bananas and so on, vegans branch off into exotic fruits like papayas, mulberries, goji berries and more! Quinoa has gained enormous popularity recently and for good reason! Quinoa is a seed that’s used like a grain. It’s packed with complete protein, has essential vitamins and minerals and eight essential amino acids. Quinoa is gluten-free and is a great base for meals, an addition to salads, or a side dish. Grains Whole wheat, rye, oats, brown rice and millet are a staple in the usual vegan diet. Tasty, healthy and filling additions to lunch or dinner for vegans are tofu, seitan and tempeh. Tofu is made from soybeans, seitan is wheat gluten and tempeh is made from fermented soy. They all offer a different kind of flavor and texture and can be cooked plain or marinated in a sauce of your choice. Tofu, seitan and tempeh are extremely versatile and can be added to stir fry, salads and many other meals.